Fakedice, an independent developer based in Korea announced today their development of DICETINY, a PC board game mashed with dungeon crawler and card battle games. The game’s influenced by such games as Monopoly, Diablo, and Hearthstone. Playing as one of four classes, players have to work together with three other players online to battle monsters and ultimately defeat an evil dragon to save the world. Player rolls a dice to move and draws a class-specific card from their deck to attack, heal, run, teleport, shoot arrows, or drop meteors among others.Get a random card drop by clearing the stage to build your own card deck. 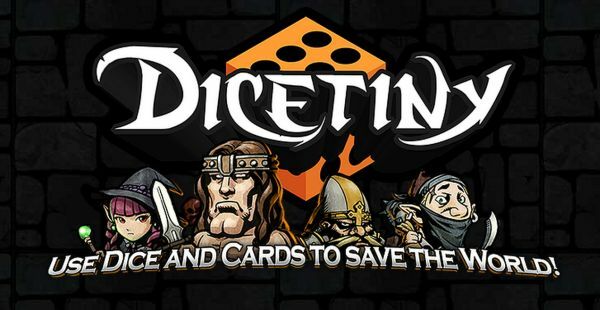 Dicetiny is coming to Steam Early Access this winter. Fakedice added that they’re planning to launch a Kickstarter campaign before the end of this year. Please visit www.dicetiny.com for more information. Webzen announced and updated new contents for Arctic Combat, plus revealed new details on their partnership with Microsoft. Mabinogi Duel is released on iOS and Android platforms for players in Australia, Canada, Demark, Sweden, Finland, Norway and Malaysia.